Marking the 50th anniversary, the College flew the indigenous flag and reflected with thoughts and prayers. The 1967 Referendum proposed changes to the Australian Constitution to grant Aboriginal people the same civil rights as other Australians – no other change to the Constitution has ever had such complete nationwide support. Marking 50 years, it is a significant milestone to examine how far we have come from the 1967 Referendum and the work that continues to be done by governments, communities and individuals. This weekend sees our second welcome to country at Queens Park before the first full round of rugby and football CAS fixtures against St Aloysius’ College. 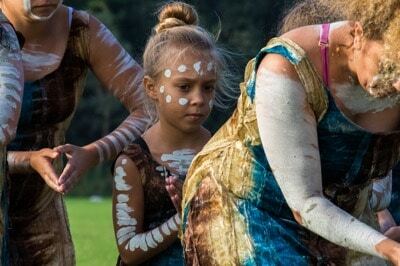 There will be a smoking ceremony, ochre paining followed by indigenous dancers. All of the College community are invited to attend at 3.00pm. Boys were reminded this week that for health and education reasons mobiles are not permitted in class. The College requires boys to leave mobile phones in their lockers which can be accessed within the area of their lockers at recess and at lunch only. Research has demonstrated that mobile phones in the pockets of adolescent boys can increase the risks of testicular cancer as well as being a distraction to the learning process. A number of cases have also occurred whereby boys have not followed the policy and their phones have been stolen. If boys have forgotten their locker key they should leave their phones with their Head of House and not take the risk of taking them to class. This will not be accepted at an excuse. At least one afternoon each week until the end of winter, boys will have a random uniform check as they leave the College. Their winter uniform consists of a long sleeve shirt, tie and blazer. Our uniform when worn correctly sends a clear message to the community about the positive cultural shift occurring at the College. A well supported uniform policy also increases our unity and improves our identity as a College. It has also been proven to increase pride and self-esteem in boys. Boys out of uniform and without a uniform pass from the Wellbeing Centre will be issued with a one-hour detention. On Monday morning Heads of House checked all boys haircuts with only a few falling outside of the guidelines outlined in the College Diary. Thanks to the boys and parents who ensure the policy is met the vast majority of the time. Waverley College is supporting Men’s Health Week in its aim to improve the health of men in our community. This year’s theme “HEALTHY BODY – HEALTHY MIND: KEEPING THE BALANCE” explores the different ways men and boys are managing to keep healthy, physically and emotionally, in a busy and sometimes challenging world. The event will engage our students and their fathers in a healthy activity overlooking the ocean.